Written and presented by me, produced, directed, filmed, edited and every other thing by the ridiculously talented film-maker Michael Bott. 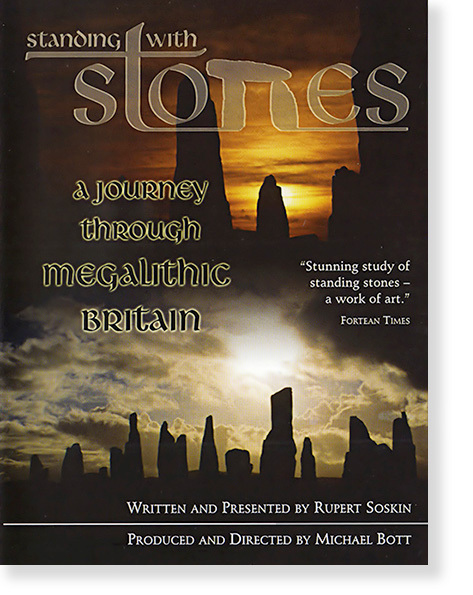 Standing With Stones is a feature length documentary, travelling the length and breadth of Britain and Ireland, exploring the stunning wealth of megalithic monuments. It was a wonderful, if exhausting adventure which fortunately received rave reviews and took second place in the 2010 Archaeology Channel Film Awards in Oregon. The dvd is not so easy to get hold of these days but the film has been serialised and is often repeated on the Community Channel. On the link below to purchase the dvd, Amazon states that it is region 1, but it is actually region 0 and will play anywhere.